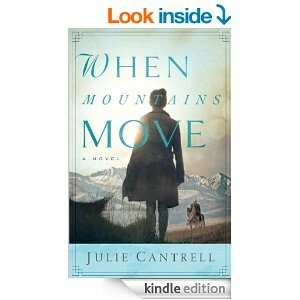 I love historical fiction. But I especially like books that bend the genre a bit by speculating on stories that COULD HAVE happened in any given setting. Of course that’s what I’m doing with my novel, Cherry Bomb. My protag is fictional, but she interacts with some real, historical folks. The plot is moving along as I continue to ask, “What if?” Even in this late stage of revisions, new things are happening to the characters. 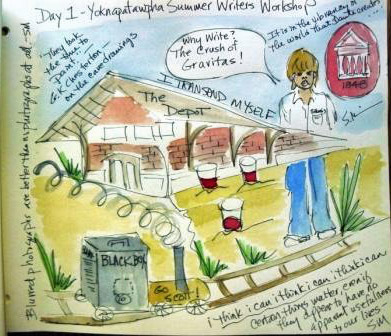 In a few weeks I’ll be participating (for the 7th time) in a wonderful writing workshop in Oxford, Mississippi. (REGISTER for the YOK Workshop NOW!) Although I’m still working with an editor on Cherry Bomb revisions, I’m taking a little time to explore a new novel. This time the fictional and historic characters are hanging out in Charleston, South Carolina, and New York City. And of course art is involved. Probably will always be involved in my novels. The story (working title is Red, Silver and Black) involves famous artists and questions of the authenticity of a mysterious painting. I’m having a blast doing research. 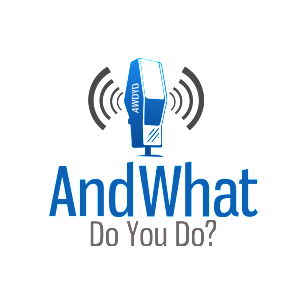 But I’m also asking, “What if?” as I explore events that could have happened. And by following my instincts about the characters’ lives, I hope to get to the emotional truth without worrying about the facts. 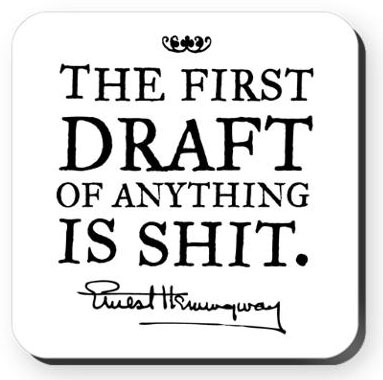 The first draft should bring with it all the freedom in the world…. All the worries about where the material may have sprung from or what so-and-so might think can be dealt with later. Those editorial changes are usually quite simple once you have lassoed the emotional truth of what you are trying to tell. Yes! That’s exactly what I’m trying to say. And of course, Jill McCorkle says it well. I love her writing. 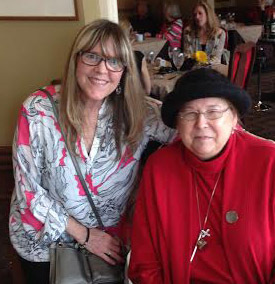 It was a joy to see her again at Burke’s Books last April when she gave a reading from her tenth novel, Life After Life. I first met Jill in 2009, when she read from her award-winning essay, “Cuss Time,” at the 2009 Conference on Southern Literature in Chattanooga, Tennessee. I knew then she was a writer’s writer—one who leads the rest of us along the path. Whoever that person may be: teacher, preacher, spouse, friend, foe, get them out of your space. The watcher rejects too soon and discriminates too thoroughly. 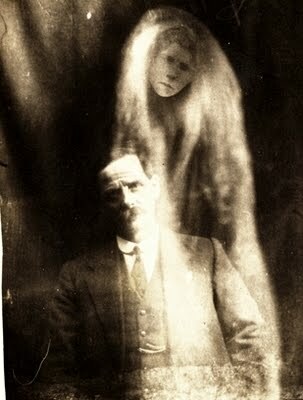 Here’s to writing that story without letting the ghosts and watchers into your space! Get those lassoes out and grab that truth! When my husband was in medical school and residency (1970-1977) I worked full time outside the home. Because I didn’t finish college, most of the work I found to do (secretarial, administrative) wasn’t really “meaningful” to me. It’s not that it wasn’t legitimate work. I was actually pretty good at it, but I always felt that I was only helping other people fulfill their dreams. So when he finished residency and began his medical career in earnest, I pursued a variety of part time and work-from-home situations over the next few decades. Wanting to be a stay-at-home mom, I found work—some volunteer and some for pay—that allowed me to be a soccer mom, chauffeur, study group hostess and all those things that mattered to me as a mother. But editing and publishing newsletters and regional trade magazines only gave me a taste for the meaningful work I was hungering after. I wanted to be a writer. After my youngest child left for college (2001) I began to pursue my dreams more seriously, although I took a detour for a few years to paint icons before settling back into my real love—writing. I had ample opportunity to return to college over the years, but there was no degree that beckoned strongly enough, so I just started writing those essays and sending them out. 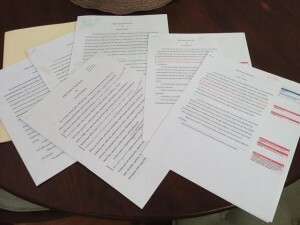 And eventually I began working on book-length projects. It is in this work that I find meaning and satisfaction. But I often feel judged when people ask me what I do. I think they are wondering why I didn’t finish college. Why I don’t have a legitimate career. 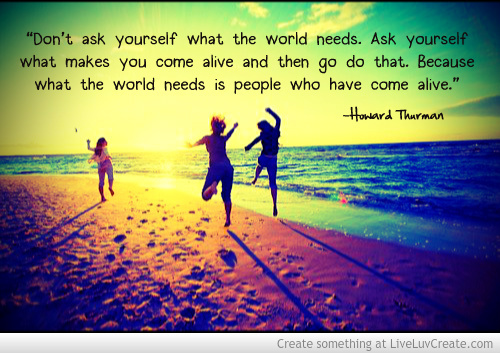 Or why I’m not spending my time in volunteer pursuits, since I don’t have to earn a living. 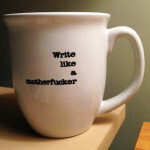 I hate calling myself a writer because it doesn’t feel legitimate to me. I’m not writer enough. Overcoming self-doubt is all about believing we’re enough and letting go of what the world says we’re supposed to be and supposed to call ourselves…. No one can define what’s meaningful for us. Culture doesn’t get to dictate if it’s working outside the home, raising children, lawyering, teaching, or painting. Like our gifts and talents, meaning is unique to each one of us. Today’s post really isn’t so much about faith. But it’s about art. And beauty. And how much they affect our lives. I’ll start with a few words about icons, which are a form of liturgical/spiritual art. We’ve only been in our new house for about three weeks. The first images I hung on our walls are the icons in this picture. Many Orthodox Christians create an “icon corner” in their homes in order to have a designated place to pray. I know you can pray anywhere, but it really helps to have a quiet place with a other-worldly focus. 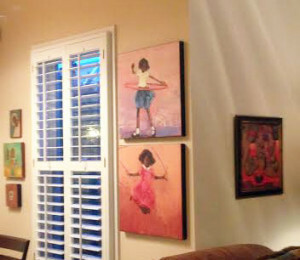 A corner where our living room meets our breakfast room creates interesting walls for art. But I don’t believe that spiritual art is the only kind of art that can save us. Or that icons were the only thing Dostoyevsky was thinking of when he wrote, “Beauty can save the world.” I am greatly affected by my surroundings, especially in my home. 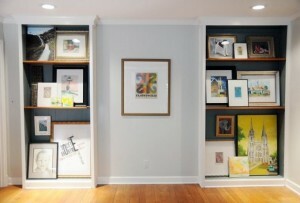 In our last house, I was blessed to have one wall full of bookshelves and two good walls for art in my office. In the new house, my lovely sunroom/office has one wall of glass doors that look out onto a garden/patio, two walls of doors and windows into the rest of the house (this used to be a porch), and only one small wall for hanging art. My friend, Deb came over this week to help me decide where to hang some of my (many) works of art. I was thrilled with her suggestions for the living room, breakfast room, and master bedroom. Even the stairwell. 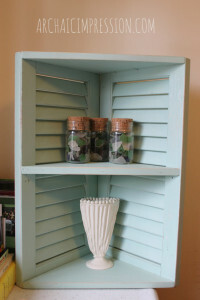 And she had some good thoughts for my little sunroom, too. I’m having a wonderful time building my little galleries, room by room. Wiedower talks about many of the same things Deb and I were discussing earlier in the week—about the importance of surrounding yourself with art that has meaning to you, and not worrying so much about what “matches” your furniture. And I love what she says about mixing types of art to create a more interesting collection. That’s exactly what I did in my previous office, and now I plan to do it again. 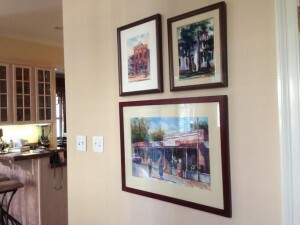 I might also create a little “gallery” in our dining room, which has the most wall space in the house. Deb also told me about a wonderful thing that’s happening now called “domestic galleries” or “home galleries.” Folks are opening their homes—even tiny apartments—for their artist friends to display their work. I just found this article about it in the Washington Post. 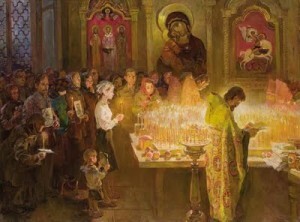 All this to say that art is saving my soul this Bright Week (the week after Easter for Orthodox Christians). I’ve got a couple of writing projects to work on today, but tomorrow I’ll be hanging pictures again. Can’t wait to create more little galleries! Have y’all seen the latest issue of Time Magazine? My friend and fellow Circling Faith: Southern Women on Spirituality contributor, Barbara Brown Taylor, is featured on the cover. Embracing darkness. Yes. Nancy Gibbs (Managing Editor of Time) and Morning Joe talk about Taylor here. 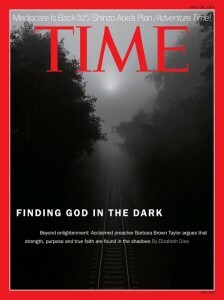 Taylor’s latest book is called Finding God in the Dark. I have some (much smaller) publishing news today. The prologue to my novel, Cherry Bomb, was just published at Cedars online literary magazine. They actually asked me for a submission, which was nice. And now I’ve got to get back to those revisions and get them to the agent or Cherry Bomb will never be published! So why haven’t I finished the revisions? I won’t bore you (again) with details about how busy I’ve been with the move and all that. Or how I’m going to be out of town for half of the month of May. I know it’s time to buckle down and just do it. Some days I fear writing dreadfully, but I do it anyway. I’ve discovered that sometimes writing badly can eventually lead to something better. Not writing at all leads to nothing. This is SO TRUE! So on those days when I think I can’t really accomplish a lot, I’m going to remember that I won’t accomplish anything if I don’t just do something! 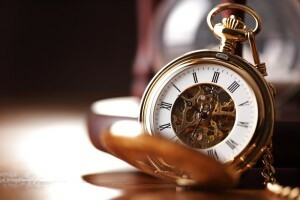 Why are literary authors slower to consider self-publishing? What can digital publishing platforms (Amazon, Kobo, Vook) do to better support literary writing? Good food for thought and discussion. 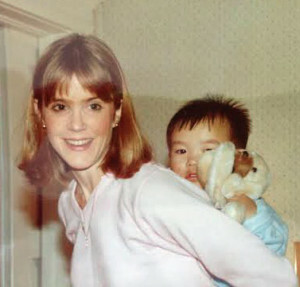 Jason, the day after he arrived from Korea in January, 1985. He was 2 years and 9 months old. He liked to be carried on my back. And finally, my son, Jason, just re-published my essay about his birth mother, “The Other Woman,” on his blog. Jason has several e-books and is a prolific blogger. He’s also got an online business helping folks increase traffic to their blogs. Follow him at “A Good Blog is Hard to Find” (I know, it’s the same name as the Southern authors’ blog I was part of for a few years) and “Harsh Reality.” (I really haven’t figured out the difference in these two sites.) Anyway, I love that when he shared my blog address yesterday, he said to his readers, “I would advise politeness if you visit.” Guess I raised that boy right. The beautiful but cluttered patio garden just outside my office/sun room, which needs a clearing…. After an intense Holy Week—which included participating in the mercy meal for a friend’s funeral—culminating in a wonderful but busy Pascha (Easter) weekend, my mind is already back in new house mode. As I prepare for more workmen to arrive and work out the kinks in the bells and whistles, I’m anxious to get pictures hung, flowers planted, and get on with the business of living in the house. The business of writing. And being with friends. And I’m also anxious to get into a discipline of regular rest and exercise so that I can better manage my pain. The more I think about all of these things, the easier it is to become anxious. I define calm as creating perspective and mindfulness while managing emotional reactivity. When I think about calm people, I think about people who can bring perspective to complicated situations and feel their feelings without reacting to heightened emotions like fear and anger. Creating a clearing. I love this. As I write these words in my new office/sun room, my view is onto a lovely but crowded garden. 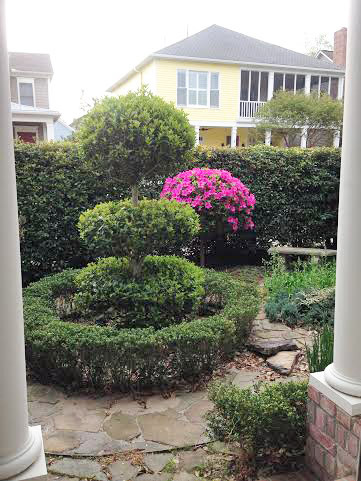 In the center is a topiary with a short hedge circling it. To the right is a goldfish pond with no fish because the raccoons eat them. A tall hedge encloses the area, providing privacy from the sidewalk and street but also a somewhat claustrophobic feel. 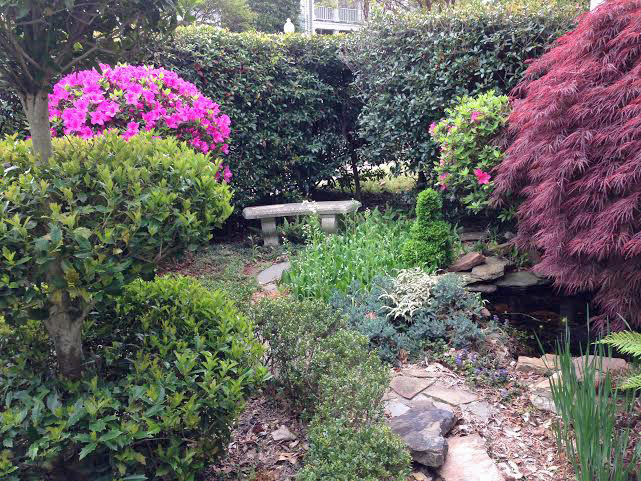 Azaleas and other plants fill in the “white space.” As lovely as this is, I want to change it because there is no clearing. There’s barely room to walk, and no place for a barbeque grill, table and chairs. We enjoy cooking and eating outside, and if we want to do so at this new house, we’ll have to create a clearing. Just like I have to create a clearing in my mind in order to write, to nurture my marriage and friendships, to be disciplined in exercising and mindful eating. I want to do all these things from a center that is both CALM and STILL. Brown shares ways that she has learned to do this, especially by exercising more and drinking less caffeine. But also by learning not to either overfunction or underfunction in dealing with life’s issues. On this Bright Monday, when the joyful verses of “Christ is Risen” are still ringing in my ears from the beautiful Pascha services of the weekend, I will purpose to cultivate calm and stillness. And to create clearings. Faith on Friday: Dim the Lights…. After following my blog for a while, Joanna decided to email me and introduce herself a couple of months ago. Turns out we have so much in common, and when she and her husband were visiting Memphis recently, they invited me to meet them for lunch at Paulette’s, just two blocks from my house here in Harbor Town. What a joy that visit was! (see photo) Thanks so much, Joanna, for getting in touch, and for sharing your Easter story. 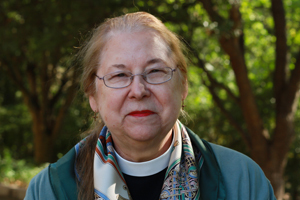 Dr. Joanna Seibert is a professor of radiology and pediatrics at Arkansas Children’s Hospital and the University of Arkansas Medical Sciences and has been an ordained deacon in the Episcopal Diocese of Arkansas for thirteen years. She has served as a deacon at St. Margaret’s, Trinity Cathedral Little Rock, and was assigned to St. Luke’s North Little Rock in 2011. She is the author of several books including, The Call of the Psalms, a spiritual companion for busy people and The Call of the Psalms, a spiritual companion for people in recovery, (both available from Temenos Publishing) and Healing Presence (with a preface by Keith Miller and a forward by Phyllis Tickle). She is a facilitator for the Community of Hope and Walking the Mourner’s Path and is especially involved in recovery ministries in the Episcopal Church and the diocese conference center, Camp Mitchell. Joanna and her husband have three grown children and six grandchildren and have lived in Little Rock for thirty-seven years. I was born on Easter Sunday. My name is Joanna. My parents had intended to name me Jo Anna after my mother’s parents, Joe and Anna. Before my mother woke up from her anesthesia at my birth my father put Jo and Anna together and added in a middle name, Marie. This is a statement about my parent’s relationship, which most probably began before my birth. Marie was my father’s favorite sister who was married the day before I was born. My father missed most of the wedding celebration because of my impending arrival, so I guess I was his wedding present to his sister! 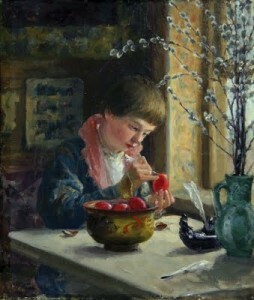 The first Easter I remember is in a picture that I keep as a sacred place on my desk. It is the Easter before my brother was born, so I must have been barely two years old. I am standing in front of our first house by the Mattaponi River at the corner of Second and Lee Streets. The screened in front porch is in the background with maybe an Easter basket on it. There is a scruffy shrub to my right side. My head barely reaches the floor of the screened in porch. The small photograph is in black and white, and the silver from the photograph over the years has transformed the clear plastic cover to a grayish yellow color, leaving parts of the picture mystically missing and other parts without as much light, giving the photograph an overall Easter film noir look. I think the woven brim hat I am wearing is white with a black ribbon around it. My memory is that the coat I am wearing is a light pink wool with fake pockets and big buttons. The coat falls not quite evenly just above my knees. 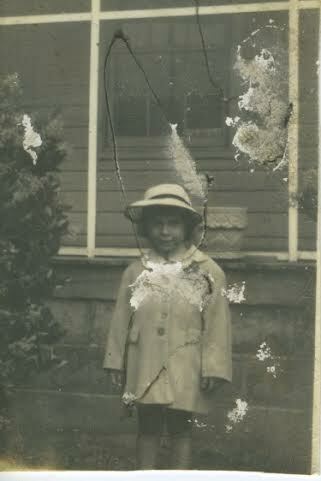 I am sure that one of my sweet grandmothers made my Easter coat. My left shoulder looks slightly higher than the right. The tips of my hands are barely seen, sheltered under the coat as my arms stand straight almost at attention by my side. I am wearing a little homemade corsage on my left lapel. I cannot make out the flower, but I think it may be a small rose. Circling my neck and overlapping the coat is a ruffled white collar with a small black bow that must be the top of my homemade dress that is otherwise in secret beneath my coat. I cannot see my feet, but my legs are looking good. My eyes are wide open and my straight blonde hair has been curled, most probably with toilet paper the night before. I have a look of serene panic on my face as if I do not know what will happen next, but I will be ready. This picture has become my inner child. I long to meet her once again some day. For right now I keep her by my side always on my desktop right next to my Apple, trying to let her know all is well, no harm will come to her. 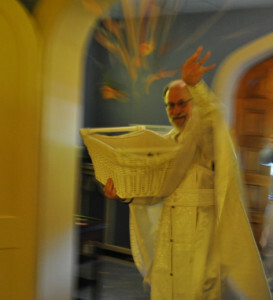 It is Easter, a celebration of new life overcoming death. She will never ever be abandoned again. We will go shopping for her new Easter outfit. I will tell her the Easter story and remind her how much she is loved. I will bring her flowers, violets or tulips or daffodils, go to an Easter egg hunt with her, give her a noisy gong to ring at the Easter Vigil, gather more flowers for her, maybe azaleas from our backyard, to flower the cross on Easter Day, ask her if she would like to sing with the other children at the Easter Day service, secretly leave for her a little extra chocolate at the Easter Brunch, rest with her in the afternoon, play with her the next day on Easter Monday, maybe even go to a movie. She is my inner child, born on Easter Sunday. I will remind her that Easter Day next year will again be a celebration of her birthday. Her real name is Jo Anna, and she is very loved especially by those whose name she wears. Blessed Holy Friday, everyone. I hope to see you right back here on Bright Monday. On a related note, Julie will be among the terrific faculty at this year’s YOK Workshop in Oxford, Mississippi, May 30-June 1. 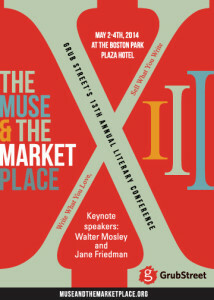 This will be my 7th year at this most wonderful of all writing workshops. There are still a few spots open, so register soon and join us! 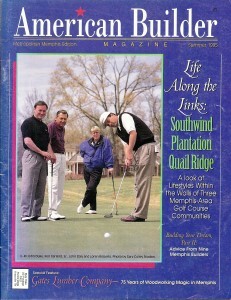 (HINT: Register by phone at 662-236-6429 Mon-Fri 9AM-5PM and save yourself the $21.95 fee the web site charges.) Over the years my fellow participants and the faculty have critiqued several chapters of my books in progress as well as a few essays which have gone on to be published in anthologies. The third item in today’s lagniappe is about my friend, Joe Formichella. 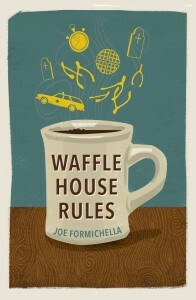 Joe was editor of The Shoe Burnin’: Stories of Southern Soul, and he just launched a book of short stories: Waffle House Rules, on April 12. “Like” his Facebook Fan page and watch for him to be touring near you soon! 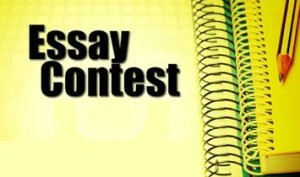 The Easter essay contest is over at midnight tonight! YOU KNOW YOU WANT TO! 1000 words maximum. Details are here. —Karen Weston (played by Juliette Lewis, far right) in the movie version of Osage: August County. I watched August Osage County tonight and Julia Roberts’ character reminds me so much of me and you, in different ways, but our individual struggles. Of course I was intrigued. This cousin and I have different struggles, but like a sad but huge number of people in the world, we’re from the same extended dysfunctional family. 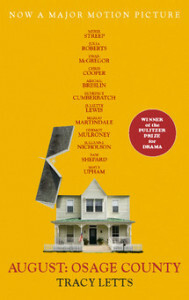 If you think your family is a mess, you might feel better (or not) after watching Osage County. If you’ve had a more Ozzie and Harriett-type family experience, you probably won’t be able to relate. 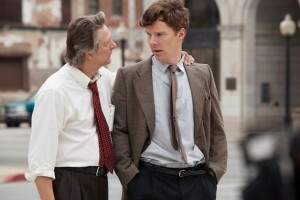 In the end, the only character who didn’t check out (emotionally or physically) or lash out was Charles Aiken, played sensitively by Chris Cooper. “Uncle Charles” reminded us of our high calling as broken human beings. His compassion for his son, “Little Charles” (also well played by Benedict Cumberbatch) was one of the few redemptive elements of the story. Back to the line delivered by Karen in the movie. She and one of her sisters, Barbara (played by Julia Roberts) were arguing in the aftermath of their father’s suicide, their mother’s breakdown, and a devastating family secret that was just revealed. Barbara is the character who wants to fix everything—the one who sees everything in black and white and expects everyone to play their roles in life as scripted. Karen is the one who deals with life’s ugliness by finding whatever happiness she can, usually with men. I could relate to both of them, actually. But Karen’s embrace of life’s messiness and acceptance of the “middle” is the take-home message for me. This line offers the clearest assessment of playwright Tracy Letts’ skill with dialogue and characterization…. Every character is fighting each other to keep their own legitimate messes beneath the surface. It’s a beautiful study in cruelty as a defense mechanism. Ouch. 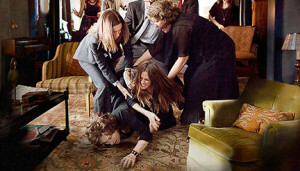 I know I’ve used cruelty as a defense mechanism in dealing with my own “legitimate messes,” but hopefully not to the degree of any of the Weston women of Osage County. Maybe the hurtful explosions happen when those messes aren’t dealt with openly, but are kept beneath the surface until they eventually explode into the lives of everyone in the family. 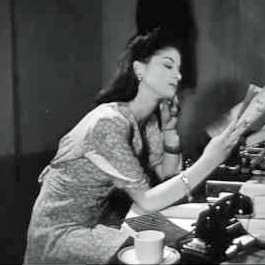 My cousin was right that I’m a lot like Barbara Weston, but I’d sure rather emulate Uncle Charles. I went to church last night. But not to the Orthodox Church where I usually go for the healing of my soul. I believe our souls aren’t divided into parts, like “spiritual” and “secular” and “religious” and “creative.” We are whole human beings. And last night my soul needed to connect with other human beings who are also writers. 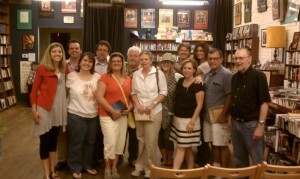 My friends at the Memphis Writers Group provide that connection at their monthly meetings. It’s not just having your work critiqued. It’s the fellowship of kindred souls who nurture your dreams and handle your gifts with kindness and love. Last night the group handled another essay of mine with their kind wisdom. The essay is for an anthology and it’s due on May 1. So now I’ll take my friends’ wise critiques back to the drawing board and make my offering the best it can be. I always learn as much from critiquing others’ writing as from having my own work addressed. One of our group submitted a terrific short fiction piece last night, and his gift of wordsmithing was nothing short of inspirational. Way to go, Dan. And speaking of buckling down, here’s a quick reminder that entries for my Easter Essay Contest are due next next Wednesday, April 16! 1,000 words or less, please, and send them as a .doc or .docx attachment in an email to sjcushman@gmail.com. You may also include a short bio, and links to your own website, blog, Facebook, etc. The winner will be published on my blog and will receive a copy of Circling Faith: Southern Women on Spirituality. I can’t wait to read your stories! Now go WLAMF!